To say the opening weekend of 2016 NBA free agency involved sticker shock would be a massive understatement. NBA free agency is always tumultuous, but this year felt different. It was one of the most-anticipated free agency periods of recent memory — and we can thank a massive increase in the salary cap. Last year, the National Basketball Association’s salary cap was $70 million per team; this 2016–17 season it is $94.143 million. You can attribute the NBA’s 2014 TV right deal to the 169% increase in average value, thus an increase in the salary cap. When the opening weekend of NBA free agency came to a close on the Fourth of July, one jaw-dropping move had taken over the internet; something we guessed may happen all along, but it was surprising nonetheless. Former Oklahoma City Thunder star Kevin Durant chose to sign with the Golden State Warriors, and people all over the country and world lost their minds. With that, we review the winners and losers of the opening weekend of NBA free agency. Before we talk actual teams, let’s discuss the players. Like, all of them. Because the deals handed out this offseason were simply unreal. Former Indiana Pacers forward Solomon Hill just received a four-year deal worth $50 million, plus incentives. Joakim Noah signed with the New York Knicks for $72 million over four years. 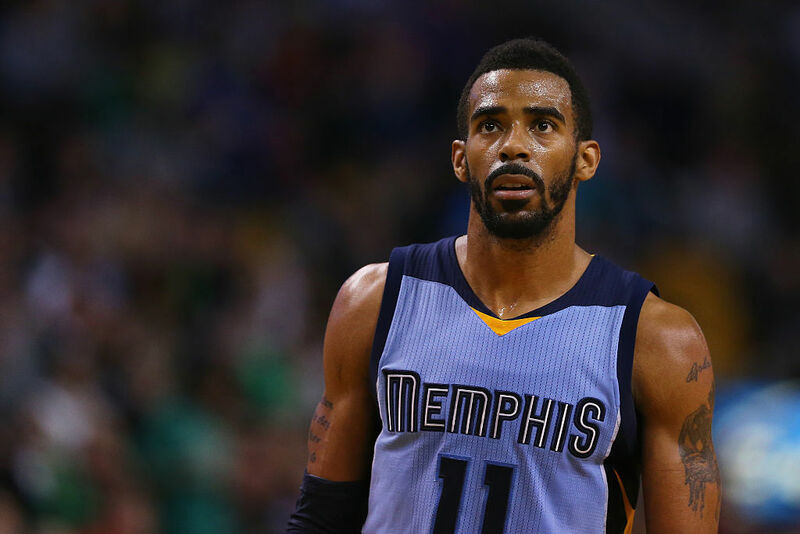 Mike Conley, who is absolutely a good NBA player, received an unreal contract of $153 million over five years. Evan Fournier got $85 million over five years. These are just a few of the players who received massive deals, so congratulations to everyone who signed a deal this offseason. You nearly broke Twitter. We’ll just go ahead and get this one out of the way. 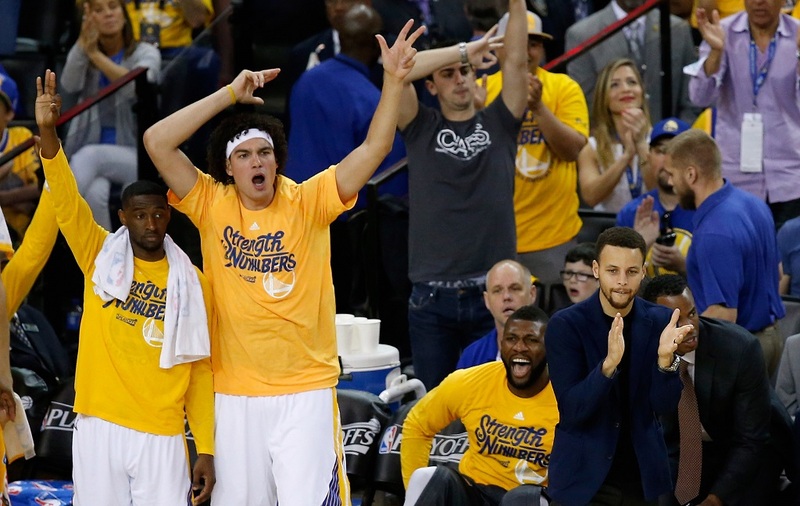 Yes, the Warriors are the big-time winners of the opening weekend of NBA free agency. There’s no way another team could rest at the top of this list, as Golden State won the Durant sweepstakes and now have a starting lineup featuring Stephen Curry, Durant, Klay Thompson, and Draymond Green. It’s pretty unreal. While the Warriors’ attempt to figure out the rest of their roster won’t be incredibly easy, they still won. And everyone seemed to have something to say about it. The Lakers were ready. They had big money to spend, were eyeing big names, and then the clock struck midnight. Their first move? Signing Timofey Mozgov. Wow. Then, the Lakers signed Luol Deng, which wasn’t necessarily bad, but there was nothing about the massive amount of money they spent that makes the team drastically better than they were prior to NBA free agency. Los Angeles is still a young team focused on getting the ball into the hands of their fresh playmakers. Maybe they should have tried to keep some of that money for next offseason? Wholeheartedly we can’t understate what this signing means for Boston. The Celtics were one big man away from being serious contenders to the Cleveland Cavaliers’ Eastern Conference throne. Now, thanks to signing Al Horford, they are ready. This team has the backcourt, they have a ton of young talent through the draft, they have Isaiah Thomas and multiple other strong scorers, and now, they have Horford. So, don’t be sad that you missed out on Durant, Celtics fans. Everything is coming together in Boston. The future is bright. While signing Lin actually isn’t bad, the rest of these signings make us scratch our heads. The Nets wanted to get over the hump, yet they targeted essentially no one who can help them immediately improve. Oh, and they traded away Thaddeus Young, who averaged 15.1 points and nine rebounds last season. While Pau Gasol is getting up there in age, he’s still massively productive, and placing him next to LaMarcus Aldridge is downright scary for opponents. 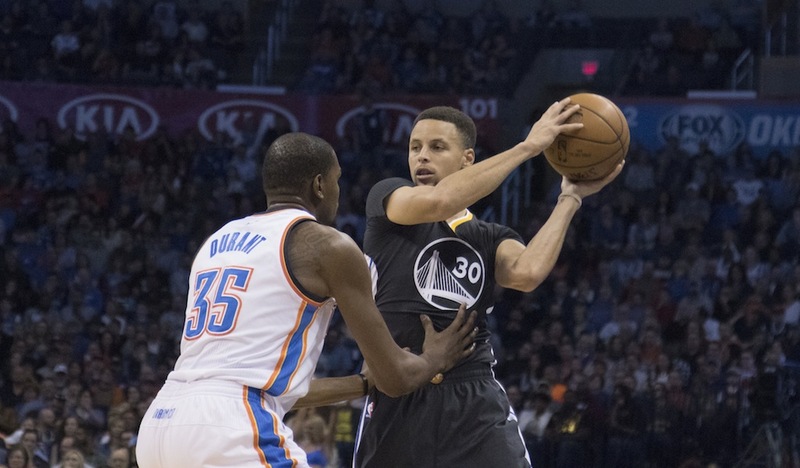 Who will guard these two for the Warriors in 2016–17? Let’s not forget they still have Kawhi Leonard as well. When factoring everything in, the Spurs improved a great deal, which is pretty terrifying for the rest of the West. First, the Mavericks missed out on both Conley and Hassan Whiteside. Then, they paid up in a massive way to land Harrison Barnes — as in a max deal of $95 million over four years. Maybe Barnes will turn out to be great, and Mavericks fans are crossing their fingers. But at this point in his career, Barnes is only averaging 10.1 points, and 4.6 rebounds per game. Overall, it was a rough couple days for the Mavericks, as they couldn’t seem to connect on much, or improve in any major way. Did we absolutely love the New York Knicks paying Noah $72 million? Not so much, but this team did what they had to do to put themselves back in the playoffs in 2016–17, which is huge. Not only did they trade for Derrick Rose, and sign Noah, but they also signed shooting guard and ridiculously strong defender Courtney Lee, as well as Brandon Jennings. The Knicks put themselves in a strong position to be in the top half of the Eastern Conference next season, even if many fans don’t want to get on board with their choices just yet. Statistics courtesy of ESPN.com, NBA.com, and Basketball-Reference.com. NBA: Was the ‘Steve Nash Deal’ One of the Worst Trades Ever?